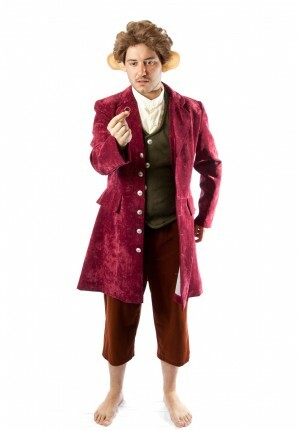 Bilbo Baggins Hobbit costume for hire. Perfect for a lord of the rings, book or movie themed party. Join the dwarves in their quest to reclaim the lonely Mountain and Its treasure from the Dragon Smaug. 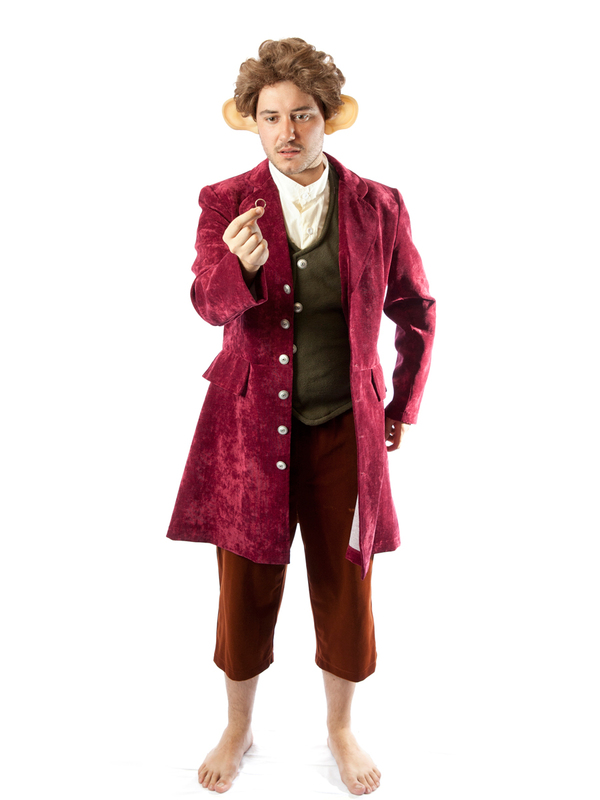 Consists of Jacket, vest, shirt, tie, pants, large ears, wig and optional hairy Hobbit feet or brown curly wig.